We regret to announce the passing of Philippe Gaudreault on Sunday, November 25, 2018 at the age of 87 years. Phil will be lovingly remembered by his wife Zena of Portage la Prairie, MB; Phil’s sons Francis (Jane) Gaudreault of California and Richard Gaudreault of BC; Zena’s daughter Gwynne (Doug) Henry of Portage la Prairie; Phil’s granddaughter Julia Duchak of BC; Zena’s grandsons Nicholas and Jordan Henry of Portage la Prairie; twin brother Claude (Denise) Gaudreault of Quebec; extended family and friends. He was predeceased by his parents Arthur and Alma and 10 siblings. 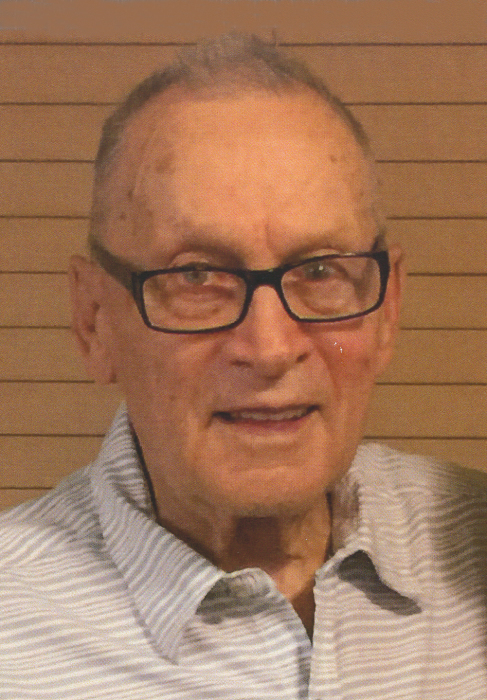 Phil graduated from forestry school in December of 1950 and worked for the Canadian International Paper for 2 years. He came west in 1952 and worked as a log scaler for West Coast & Construction. Phil joined the RCAF in August of 1955 and was released in December of 1980. He then worked for the school division from 1982 until retiring in 1992, when he married Zena. Phil enjoyed dancing, curling, bowling, walking dogs, golfing and watching the Portage Terriers. Phil and Zena travelled together on cruises to Hawaii and New Zealand. As he got older Phil liked to visit casinos. Although he was sick and on oxygen he loved to go for drives and did so on the day he died. Service to celebrate Phil’s life will be held on Monday, December 3, 2018 at 1:00 pm at McKenzies Portage Funeral Chapel, led by Rev. John Dolloff. Private Interment will take place at Evergreen Memorial Gardens Columbarium. As expressions of sympathy, if friends so wish, donations may be made in Phil’s memory to Portage Animal Welfare Society (PAWS), 121 - 12th St. NE, Portage la Prairie, MB, R1N 4A2 or Portage District General Hospital Foundation, 524 - 5th St.SE, Portage la Prairie, MB, R1N 3A8.